I have no idea where this past week went, and I'm a bit afraid that this week will be flying by just as fast! Before we get to the week to come, however, let's do a quick recap of this week . . .
As I mentioned above, I am not sure where this past week went and I'm having a hard time even remembering highlights! However, I will say that yesterday was the Grand Opening of one of our local libraries. I really wanted to go to the opening ceremonies, but was unable to make it due to child responsibilities. However, I did get lucky and was able to take a trip children-free later in the afternoon! 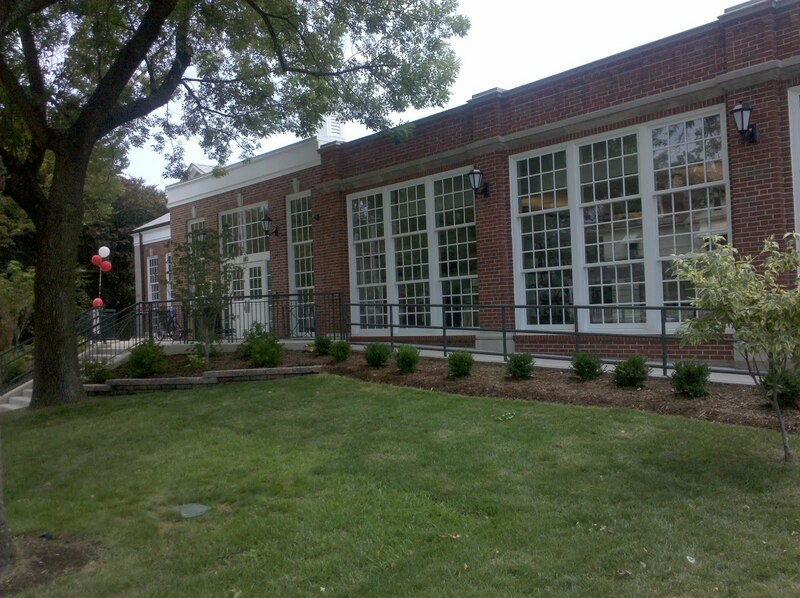 The opening is actually of the old library that has recently undergone HUGE renovations! I was not living in this community at the time of the old building, so I have nothing to compare it to, but I can say that I think the new building is gorgeous!! See for yourself . . . This upcoming week is a big one for my household! My son starts Kindergarten this week, and we have checked out a multitude of books and videos regarding the start of school. If I come across any really good ones, I will definitely be posting about them here! I also have students arriving on campus this week, have to finalize the class syllabus, and am facilitating a discussion for our campus' summer reading program. I particularly want to incorporate a multitude of literature into my course, so if you have any suggestions for titles, short stories, or poetry that address transitions . . . . particularly educational transitions as I will be working with first-year college students . . . please feel free to share them! I am so excited to be back in the classroom again!! Despite the craziness of the week, here is what I hope to have coming here on the blog . . . Guest Post by "The Familiars"
Thankfully, I've got most of this written! It will all depend on how much computer time I will have to get them actually posted and scheduled!! Starting school is such a biggie. :) My middle one starts college tomorrow. We worked so hard to get them to this point and when they are grown up, all I want to do is keep them little. J. Kaye . . . This is exactly what I'm afraid of! I work with college students and hear this from the parents during orientations. I always wonder . . . will this be me?!? Probably . . .
Melissa Taylor . . . Thank you!! Today was the first day of school for my little man and it seemed to go well! He was so exhausted by the time he got home that he crashed sooooo early!! Good luck to you tomorrow!